Of the major global hotel chains, Hilton has offered by far the most generous promotions with their loyalty program this year. They’ve had global bonus points promotions for the entire year, and are the only hotel loyalty program where that’s the case. On top of that, they’ve offered so many stackable promotions on top of that. Hilton has just announced yet another promotion, this time for those with The Platinum Card® from American Express or The Business Platinum® Card from American Express. Those with the Amex Platinum Card who have enrolled in complimentary Hilton Honors Gold status (which is a perk of the card) can receive 10,000 bonus Honors points after making a stay of at least two nights between October 2 and December 31, 2017. This is only valid for those with cards issued in the US, though a stay at any Hilton family property throughout the portfolio will qualify. Offer is valid for American Express® Platinum Card Members, Business Platinum Card Members and Corporate Platinum Card Members in the U.S. and U.S. territories who have enrolled in complimentary Hilton Honors™ Gold Status through American Express and complete a qualifying stay. Offer is valid for stays at hotels and resorts within the Hilton Portfolio from October 2, 2017 through December 31, 2017. Check-out for stays must be on or before December 31, 2017. Registration in the offer via HiltonHonors.com/AmexPlatinum is required prior to completing a stay within the offer period. Offer valid one-time only and only when you pay with your American Express Card. Offer is non-transferable. Offer may not be combined with other select promotions, offers or discounts. After a qualifying stay, you will automatically earn 10,000 Hilton Honors Bonus Points. Offer valid for stays at any property in the Hilton Portfolio excluding Hampton by Hilton™ Hotels in the Republic of China and is subject to availability. Minimum 2 consecutive night stay required. If you are not already enrolled in the Hilton Honors Gold Status Benefit through American Express, please visit AmericanExpress.com/HiltonGold to enroll. “10,000 Hilton Honors Bonus Points” means you will receive a bonus of 10,000 Bonus Points in addition to the number of Base Points earned during a stay. Bonus Points earned on Base Points do not count toward elite tier qualification. Please allow six to eight weeks from completion of your stay for Bonus Points to appear in your Hilton Honors account. Bookings may be subject to blackout dates, early departure fees, and deposit and cancellation restrictions that may vary by hotel. Please see individual property for details. Hilton Honors membership, earning of Points & Miles™ when booking direct and redemption of Points are subject to Hilton Honors Terms & Conditions. All Hampton by Hilton hotels in the Republic of China are excluded from the Hilton Honors program. This is only Hilton’s latest promotion, and can potentially be stacked with several other promotions. At the moment Hilton’s global promotion offers double points for all stays through December 31, 2017, and Honors Diamond members can earn 10,000 bonus points after every 10 nights, up to a maximum of 50,000 bonus points. That’s a great promotion, especially given that Hilton’s points earnings rates are great to begin with. Then you can earn 5,000 bonus points after completing two stays and paying with an American Express or Citi card. In addition to this promotion and Hilton’s global double points promotion, you can also earn 500 bonus points per app booking through the end of 2017. Furthermore, you can earn an additional 500 bonus points per booking when you reserve and pay with a Hilton American Express card. There are also some Amex Offers for Hilton family stays, including Hampton Inn and Hilton Garden Inn stays. Another offer that excludes diamond members. It was only a couple of years ago that Hilton was passing out 100k points at year end to say “thank you” to their diamond members. Now they give us less cash back on portals and exclude us from many of the promotions. What gives? This is super! I just registered and got: “You’re registered; now book your next Hilton stay.” However, because one must be “enrolled in complimentary Hilton Honors™ Gold Status through American Express” and I was not sure if I am enrolled, I just called AMEX Biz Plat to inquire and have been told that I registered back in 2015. I must have done it in conjunction with a similar offer, since I have been a HH Diamond for 7+ years straight and do not foresee not requalifying any time soon and, thus, had no reason to enroll in the Gold Status program. — Global Entry: Just renewed it a week ago, but by going to Montreal to renew my NEXUS membership, which automatically also renewed my Global Entry membership for another 5 years. And, nope, I am not eligible for a $100 statement credit. One gets only if one gets GE directly, and not by getting it through NEXUS (cost: $50). I will keep getting GE the same way, i.e., by renewing my NEXUS membership because I think it is worth the $50. — Authorized User: nope. The CSR said: “Get someone and enjoy the MR points on their spend.” I politely declined. @Doug — The offer does not exclude Diamond members. As I just related above, one can be a Diamond and also be “enrolled in complimentary Hilton Honors™ Gold Status through American Express”, which is the only requirement. AMEX awards the points for this offer, and all they check is to establish that one is enrolled in the complimentary Hilton Honors™ Gold Status, and not one’s status in the Hilton Honors program. I’m not eligible, somehow. Clearly matched to Gold via the AMEX Plat Biz card. @DCS do you mean Boingo WiFi? Or is there a Gogo WiFi benefit that I don’t know about with the Amex Plat? This is rediculous! Me and my wife both have Amex plat and I swear in the past 3 months between various Hilton Amex Offers and random Amex Plat points we’ve gotten a total of 350,000 points in just 22 nights! Not even counting the cash back from Amex Offers, Insane earning! @Alex – Welcome to the most and only highly rewarding program that remains in the hotel loyalty business! 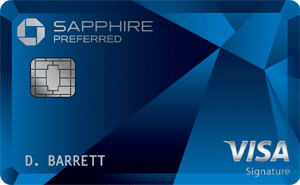 For some reason I am not eligible either… I got Hilton Gold through Amex Plat, but then I got the Surpass Card, I wonder if that superseded it… but at the same time, I closed my Surpass card, and am still gold. UGHH… frustrating. “All Hampton by Hilton hotels in the Republic of China are excluded from the Hilton Honors program.” Surely they mean the People’s Republic of China, as Republic of China would usually mean Taiwan, where as far as I can tell Hampton doesn’t have any properties. Subject: Welcome to the Gogo Preferred Program! Thank you for activating the Gogo Preferred Program! Complimentary American Express Internet Passes have been loaded into your Gogo account. To view your passes, just sign in to your Gogo account. Do Points and Money 2-night stay qualify? Thanks. Just did this and paid with my amex gold to get the 50.00 off 300 offer that I had and this worked. Thanks for the post Lucky!